Hope you like what I have so far...! 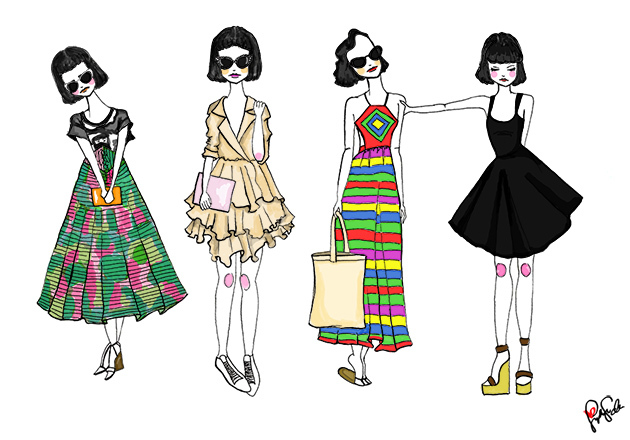 The first one is a series of one of my favorite style muses, Sophia Amoruso of Nasty Gal. She's such a doll.. I admire her so much especially after watching her interview about her success story! Watch it here! The second illustration is from a photograph I pulled from my Pinterest. A lot of the pictures I pin of dance, ballet, tribal looks, and yoga will most likely be included in my illustrations.